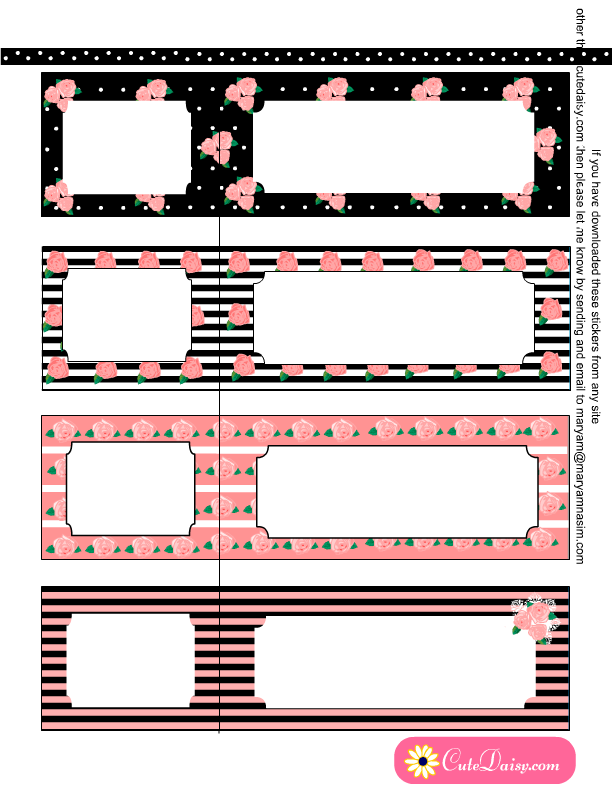 Today I have made these beautiful and Free Printable Shabby Chic Address Labels in editable PDF format. You can fill up the addresses in it before taking the print outs. 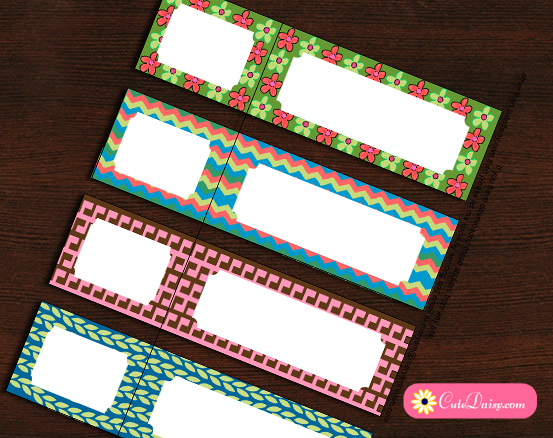 You can print these labels on sticker label sheet or any ordinary paper and paste on your envelopes. 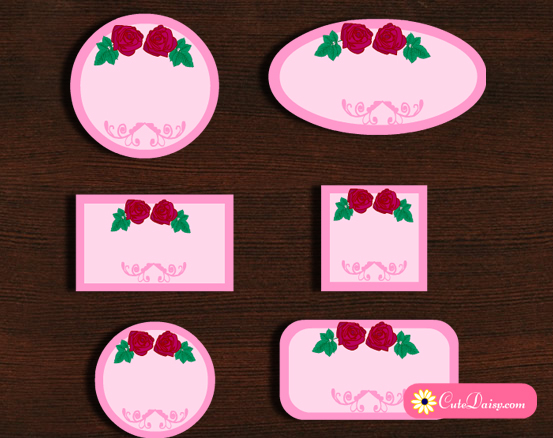 These beautiful address labels can be used to send your happy mail and also all the bridal shower invitations that I have shared on cutedaisy.com. 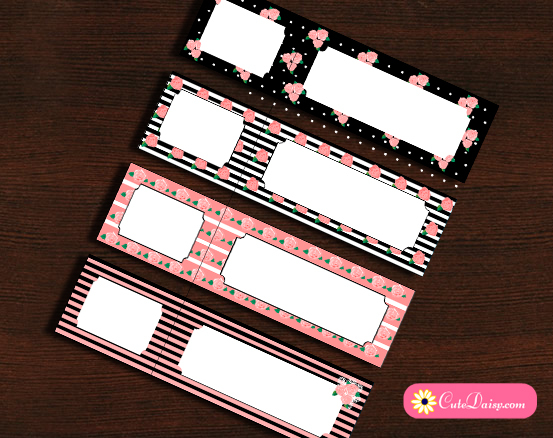 I have made 4 beautiful shabby chic address labels today and these are in black and pink color combination. You can download the editable PDF file here. 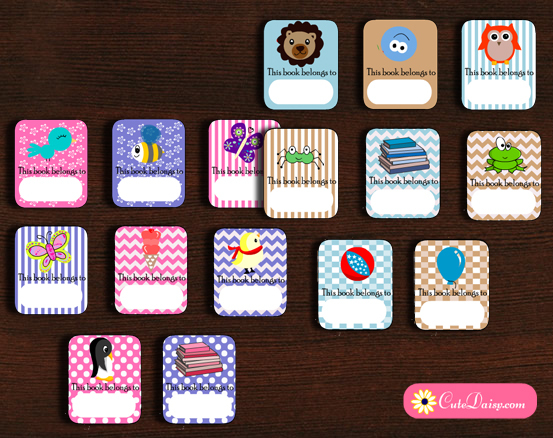 You can also print these without filling up the PDF form and you can write the addresses with pen. 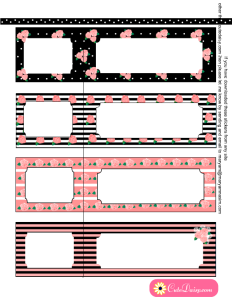 If you are a planner lady then you might like the matching Shabby Chic Planner Stickers that I have created already. Please do not forget to like my post and share it on Pinterest and Facebook.